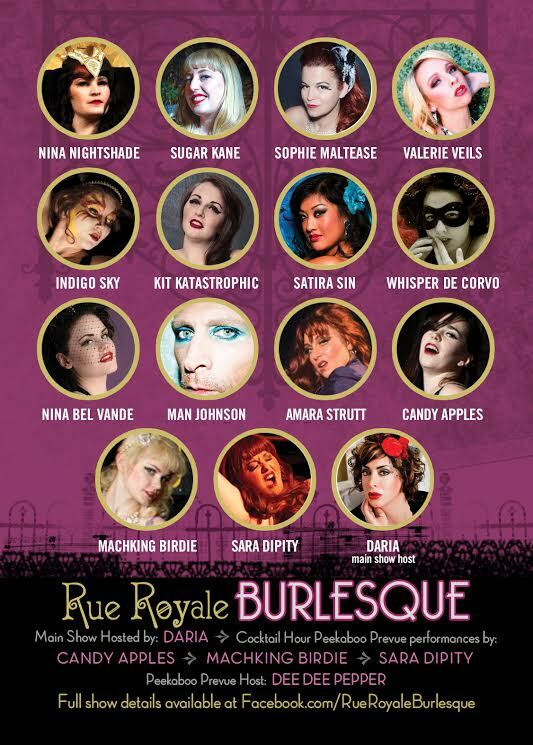 Excited to host the Peekaboo Prevue portion of Rue Royale Burlesque starring Jessabelle Thunder! Hope to see lots of friendly faces! Definitely excited about seeing so many incredible local and visiting performers! Pepper + Bones is BACK!